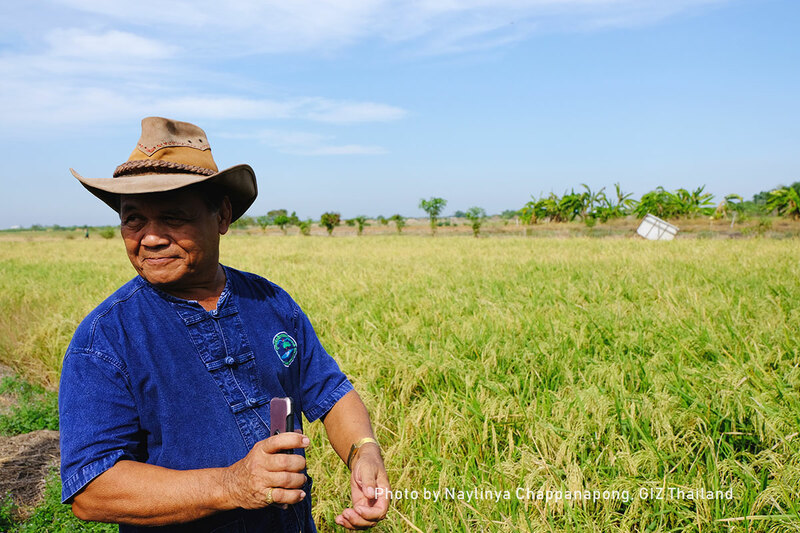 Khon Kean, 4 December 2018: Farmers from Central and Northeastern Thailand will be growing rice based on a low-emission cultivation to reduce greenhouse gases. 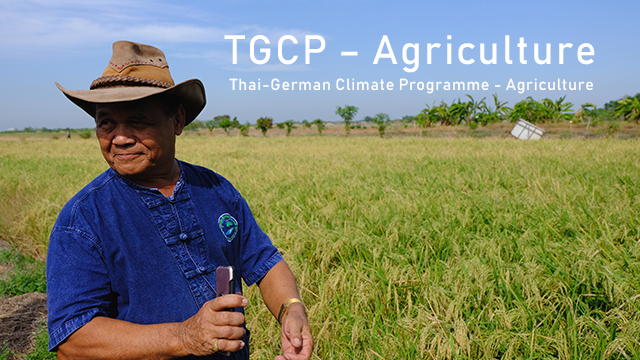 Through a panel discussion jointly supported by Thai Rice Department and the Thai-German Climate Programme (TGCP) – Agriculture, a group of rice farmers and experts will gather to discuss about low-emission rice cultivation and pick up the best practices to decrease the rise of greenhouse gas emissions. The second awareness raising on climate change event is going to take place on 14 December 2018 at Charoen Thani Hotel, Khon Kaen province with a welcome speech delivered by Krishnapong Sripongpankul, director-general of Thai Rice Department. The first awareness raising event was held on 30 October 2018 in Ayutthaya. 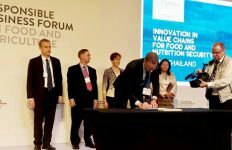 After the opening ceremony, Apichart Pongsrihadulchai, chief adviser to the Rice Department will deliver a keynote speech on the topic “World Rice, Thai Rice and Sustainable Rice Production”. While Dr. Jarunee Nugranad from the Office of Natural Resources and Environmental Policy and Planning will give presentation on “Climate Change in Relation to Agricultural Sector”. Alongside the speech, representatives from Rice Department, Olam International, rice mill and a smart farmer will give valuable insights during a panel discussion entitled: “Rice Production Development under Climate Change”. Another panel discussion on “Collaboration on Mitigation and Adaptation to Climate Change in Agriculture” joined by representatives from Office of Agricultural Economics, Thai Rice Department and the Thai Rice NAMA project will take place in the afternoon. 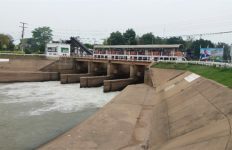 About 300 participants, including government officials and smart farmers are expected to attend the event, which is scheduled to wrap up at 2:45 p.m. on the same day. 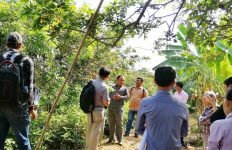 A farmer in Bangkok on 4 December 2018 shares his experiences after relying less on pesticide and inorganic fertilizer.